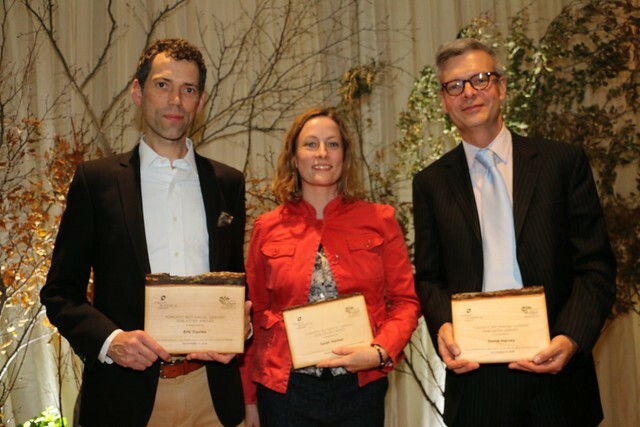 In 2017, Toronto Botanical Garden is shifting its award emphasis to recognize Toronto’s “Environmentalist of the Year”. Nominations will be sought and an award recipient selected by a committee of peers from the environmental sector. Two “Rising Star” recipients will also be selected. In addition to the accolades and respect of their peers, Aster Award recipients will receive a financial award. Minaz Asani Kanji didn’t know anything about saving the environment when she came to Canada as a student from Kenya 28 years ago. Today she helps new immigrants learn all about recycling, picking up litter and more. Arlene Throness, Coordinator of Rye’s Homegrown Rooftop Farm at Ryerson University. Margaret Atwood, one of Canada’s most prominent and prolific contemporary writers. Dr. Paul Hebert, best known for leading the development of DNA-based identification systems. Janet Rosenberg, a recognized figure in landscape architecture and urban design across Canada. Edward Burtynsky, known as one of Canada’s most respected photographers. Scott MacIvor, an ecologist with research interests in biodiversity and ecological trade offs in urban areas and in architectural and landscape design.